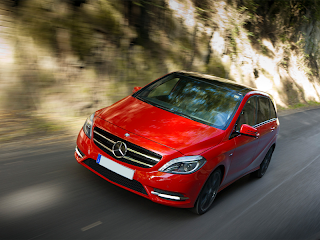 The luxury car maker Mercedes Benz will step in Mumbai, India at 11th of July 2013, with its par excellence product Mercedes Benz of the diesel variant B- Class model. In 3rd generation every one busy no one might be able to plan everything, but they can count on anything happening. The new Mercedes-Benz B-Class meets all the demands vehicles that daily life has in store for you. The confident, high-quality interior and sporty exterior are stylish companions on every journey. Numerous assistance systems pamper you and ease the burden on you or help ensure safety.